All pearls are white, right? Wrong. Pearls have different colors, including white, gold, silver, black and even red and green tones. That makes a big difference, if you’re designing or wearing pearl jewelry. Pearls are differently colored depending on the genetic makeup of their oysters. They’re all real pearls, but the coloring is derived direct from the genes. This also applies to cultured pearls, because the different oysters continue to produce their colors regardless of how the pearl is cultured. Pearls have been highly prized, high value jewelry for thousands of years. Jewelers and their customers are understandably fussy about matching pearls to their settings. The issues with pearl color date back to when natural pearls were super-rare, extremely valuable, and therefore very much in demand. The color issues relate to the different types of pearl jewelry, and accompanying jewelry settings. High quality pearl earrings, for example, are typically “pendant” form, hanging elegantly from gold or white gold rings, sometimes a lot of pearls. You can see why color is so important, instantly. If you have black pearls, which will be the better setting, gold or white gold? How about silver? What about green-toned pearls, on a gold chain? A pearl necklace is one of the definitive jewelry forms for pearls. Simple? Just a chain of pearls? Nothing of the sort, in fact. If you put pearls of different colors together, what sort of effect will you get? If you have a sort of “raffle” of these colors, will it look good or bad, with red, green, white, and silver toned pearls? Most jewelers will tell you that whatever it looks like, their customers would prefer something much more consistent, and they can’t even think about mixing the colors, even if they wanted to do so. Grouping of colors is the big issue. 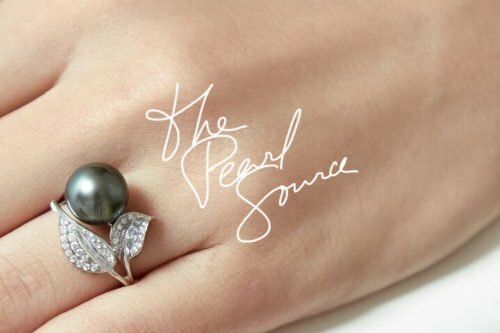 Next time you see pearl jewelry, see how the jeweler has managed the color issues.